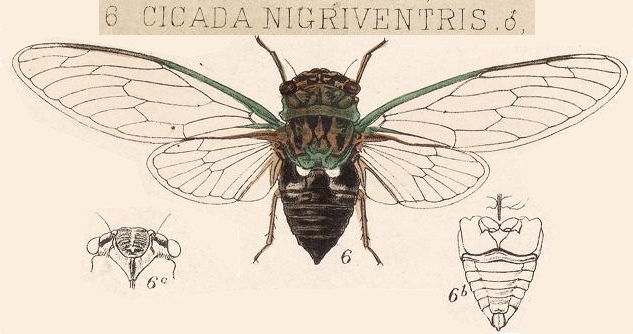 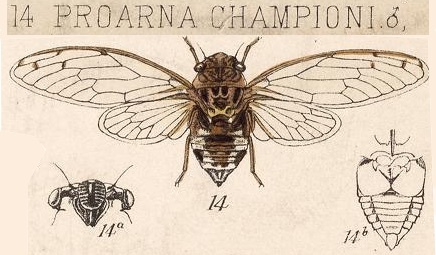 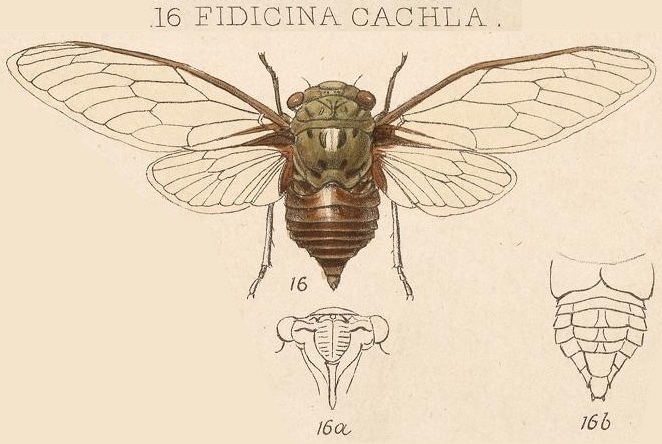 Dorisiana amoena (Distant, 1899) is a cicada found in Costa Rica. 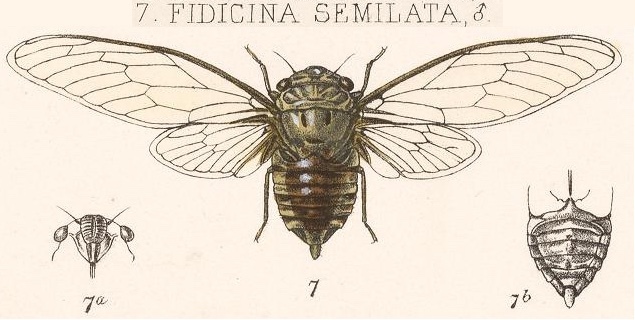 Dorisiana amoena was formerly named Fidicina amoena. 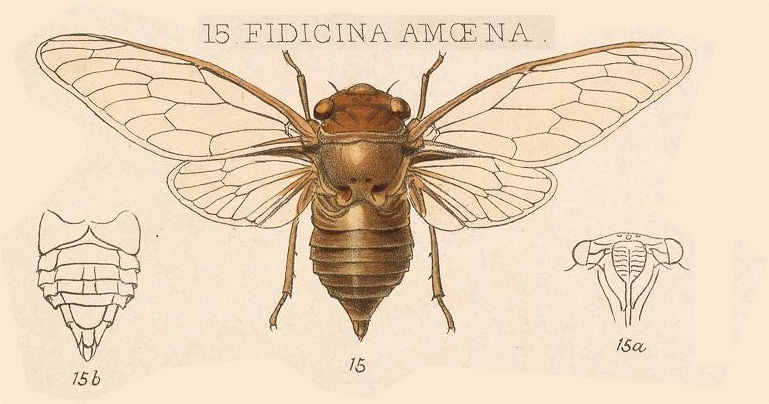 It moved from the Fidicina Amyot & Audinet-Serville, 1843 genus to the Dorisiana Metcalf, 1952 genus. 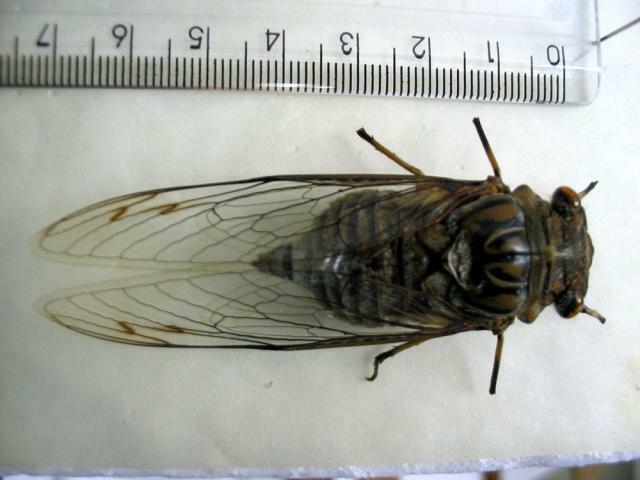 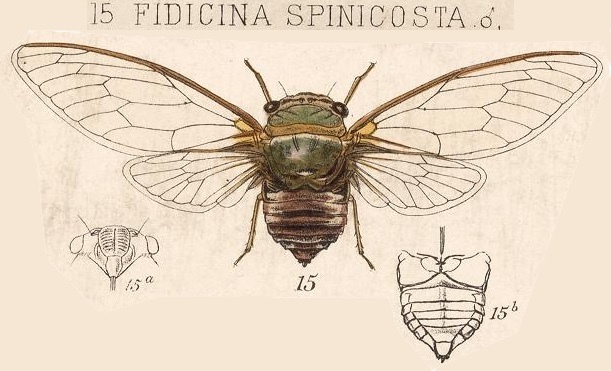 This image says Fidicina amoena, but the newest name of this cicada is Dorisiana amoena.